There are so many reasons to pick Wingard in your team this year, but they all add up to him just having great value for money. In the trade period, Wingard was part of a pretty insane move to Hawthorn for young gun Ryan Burton and a bit extra. Whilst I wasn’t entirely happy about it as a Hawthorn supporter, I am slowly coming to terms with the trade, and it’s great news for all Fantasy owners! As you may have noticed, Wingard was slightly lacklustre last season. This was mainly due to the competition for midfield roles in the Port Adelaide team. Because of this, usual locks like Wingard and Robbie Gray really struggled to score consistently as they were playing forward for the majority of some games. Wingard should have less of a problem breaking into the Hawks’ midfield, especially now that Titch is out for the season. I expect Wingard’s midfield time to increase significantly after switching teams. The fact Wingard played so much forward last season also has two disguised blessings for Fantasy owners. Firstly, Wingard getting more time up forward gives him his Dual-Position status for this season, which is great because it means he doesn’t use up a midfield spot! It also helps later in the season when you need to move some players around. Secondly, the sporadic scoring of Wingard last season led to him being priced well below what he is capable of. In 2017, Wingard averaged 92.2, almost 10 whole points above his 2018 average, and he still wasn’t playing as much in the middle as I think he will this year. It just goes to show that even a minimal amount of extra midfield time can greatly increase Wingard’s scoring. I think Wingard’s move to Hawthorn will really help his Fantasy scoring and will help to once again show what an exciting player he is. The risk. Wingard may present impressive value and may have proven himself a reasonable amount in the past, but there are two big risks in picking him. The first is that he may not settle in well at Hawthorn. Lots of players can struggle fitting in with their new teams after a trade. (Think Travis Cloke to the Bulldogs or Mark Williams to Essendon). Wingard could possibly be no different to the many players before him, but I have doubts that this will happen. I think the opportunities at Hawthorn are too plentiful and the opportunity to assume some sort of leadership role over the young small forwards is too great for Wingard to flop, but you never know! The second risk is that Wingard won’t actually improve this season. The midfield role is there in theory and he’s been proven to score more when playing in the middle in the past, but what if the role never eventuates? Or what if he just doesn’t continue his scoring trends? 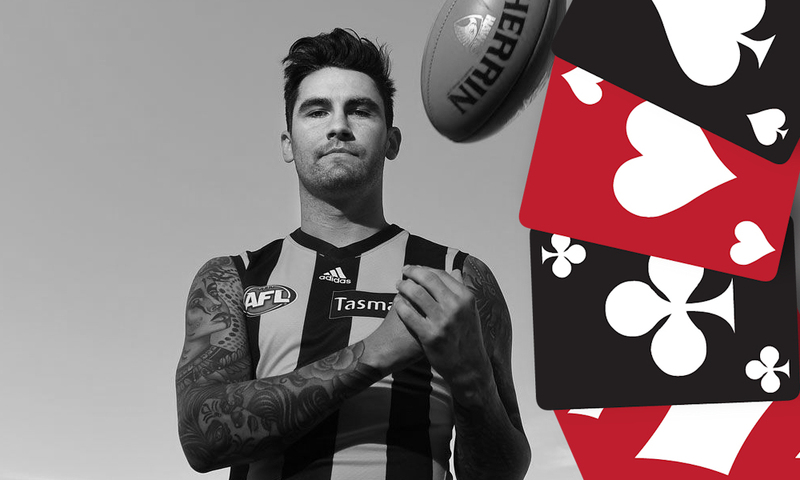 It’s always a risk to take a gamble on a non-premium, and Wingard could absolutely flop like the many who have come before him. Despite this, I think Wingard’s history suggests these risks aren’t as big as they are for some of the other mid-priced options in seasons, past and present. KING – As long as Wingard settles okay at Hawthorn and receives even slightly increased midfield time, I believe Wingard will be one of the best value options of the year. I personally think Wingard is to this season, what Isaac Heeney was to last season, a perfect, cheap, premium Forward. Heeney ended up gaining value and being a solid option all last year, so don’t miss out this year. What does Wingard average at the Hawks? Got any questions? Comment below or hit me up on Twitter @SparksyDT. Bit of a hopeful overrated review. Wingard only averaged once over 90 in 7 years. 97 is a huge ask!!! I reckon Wingard was targeted by the Hawks to play in the fwd 50 but Titch going down muddies the waters somewhat. I’ll go a flat 90, definitely worth keeping an eye on if he slides down your draft!